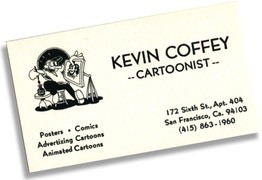 And on to San Franciscisco to begin my career, age 20. 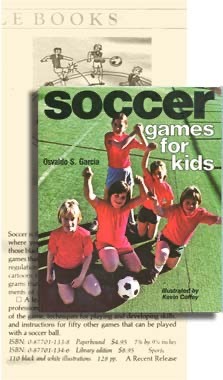 The first children's book I ever illustrated was called "Soccer Games For Kids" by Osvaldo Garcia, published by Chronicle Books, San Francisco. I was 25. 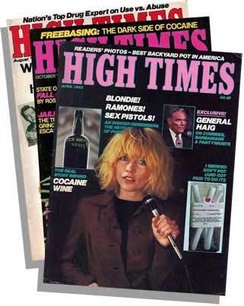 My comic strips, featuring my own characters, have appeared in these and other high quality national magazines. 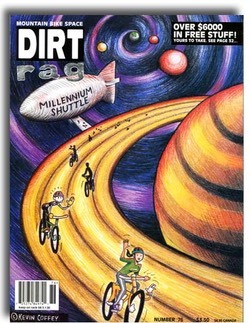 My characters Mudpup and Mr. Modern on the cover of this fine, high quality national magazine. 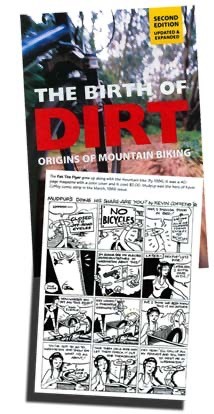 A full page Mudpup strip, featured in Frank Berto's definitive history of mountain biking "The Birth of Dirt- Orgins of Mountain Biking".